Just installed vesion 2.3.3-beta. Looks quite nice, but unlike the ‘old’ openhab adroid app, it does not show my Grafana graphs presented with Webview in the sitemap. What should I do different for this app to make the show up? Is the connection to the graphs https? There’s an issue were self-signed certs are unsupported in webviews for now. It is https but with LE certificate, not self-signed. Works in non beta App. 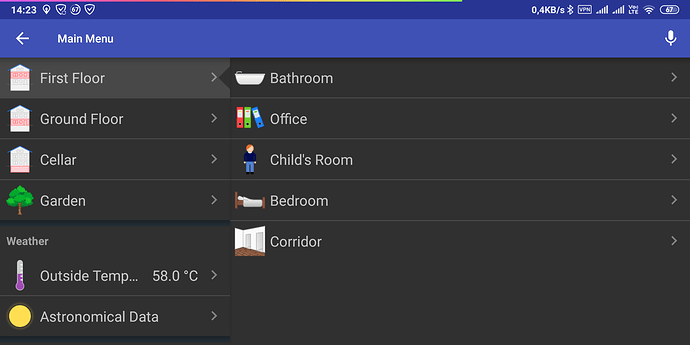 When i want to look at a chart inside openhab app beta, i always have to open the windows twice. At the first time, i only get a blank screen with no data inside the chart. After i close the chart and open it again, i can see the chart. Same is, when i want to change the visible time period. I have to change the time period, then leave the chart and then enter it again, then i get the chart. In former version, it worked without any issue. But this bad behavior is since a long time now. I use rrd4j for most of my graphs. 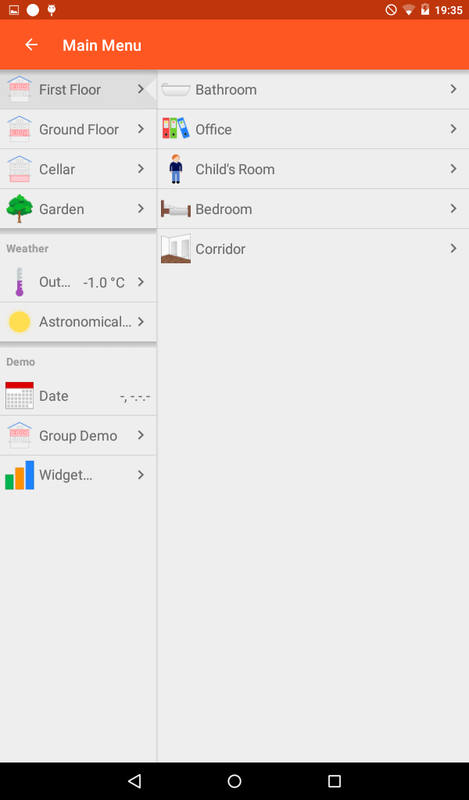 I´m on latest openhab app beta and latest openhab2.5 snapshot. 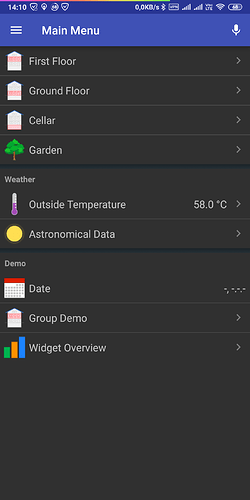 Is there a way to report the battery state of the android phone to openhab or would this be possible? Maybe in a future version? The first feature that uses this framework is sending the alarm clock time. New features need to be added to the source code, but it’s quite easy to add them. Please note, that this feature isn’t ready yet and it might take some time until it’s in the stable version. Google might add new restrictions with any new Android version, so things might brake in the future. Can you tell me, how i can display habpanel on the beta app? When i press the habpanel button. I only get a blank screen. I’m in my local network, only http, no certificate, no username/password. Is there any posibility to have the app switch to landscape mode when viewing Habpanel? I don’t autorotate, and all of my panels are setup for a wide format. Having Habpanel in the app is awesome! IMO it’s better not to add an option only for the people that have autorotate disabled and their habpanel for the wide format. The latest beta has the two pane mode enabled for larger devices in portrait mode. If you think it wastes too much space on your device, please let us know. Screenshot and device name are appreciated. Can you make this manually adjustable? I have a 6" smartphone with full-hd and i increased the dpi-settings in android. So i could be able to see much more information on my screen. But i still have only one pane. I´m on 2.6.1 beta app. How much DPI do you have now? At the moment i have 400dpi. But i can change it easily. Can you enable demo mode and make a screenshot? In the first iteration of the PR I enabled twopane mode for 600dp width, which didn’t look good: https://user-images.githubusercontent.com/22525368/53193036-46feef80-3610-11e9-9ca8-c157e5187ab1.png (7 inch tablet). But this is not the two pane mode from Basic UI in your example, that is the “old” two pane mode from classic ui. Any chance to get basic ui two pane mode to android app? But i think basic ui two pane mode would be better.